Committed to Helping Clients Gain Wellness. Convenient Location in the Heart of Midtown. We are proud to offer a wide range of comprehensive services to meet the needs of our distinguished clients in NYC. 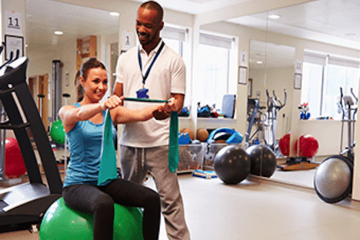 Our team of professionals specialize in providing personalized medical care, rehabilitative therapy and relaxation services. Better Body Solutions provides chiropractic care and related services for patients throughout Midtown East and New York City. Better Body Solutions offers services designed to provide relief from pain associated with injuries or medical conditions, such as arthritis. Patients in the New York City area who struggle with persistent pain can find relief through chiropractic care, massage therapy, rehabilitation, ergonomics, and physical therapy. Read more. Need Info Later? Fill out this Form! Don't Live with Chronic Pain in the Workplace and at Home. Visit our Team Today and Improve Your Wellness. Find out the latest trends and innovations in Chiropractic Care, Massage Therapy Rehabilitation, Ergonomics & Physical Therapy Here! Better Body Solutions puts their clients first and that's what I love about them the most! It's a wonderful place and I recommend it to anyone. The staff is very friendly and always manages to get you in and out. The insurances listed are Out-Of-Network Only. Some In-Network plans accepted but only on Saturdays, when our in network doctor is in.